A fiscal year is your business's annual reporting period. All kinds of reports are based on the fiscal year, including taxes. The fiscal year is generally a twelve month period – although the fiscal year period may be shorter for a business that has just started or for a business that ends. For most businesses, the fiscal year runs from January 1st through December 31st. In Canada, some businesses may have different fiscal year periods. Corporations can choose to have fiscal year periods that end on any date. Sole proprietorships and partnerships composed of members that are all individuals can also choose to have a different fiscal year end period. When do you have to decide on your fiscal year-end date after starting a new business? For corporations, your fiscal year-end date must be within 53 weeks of your incorporation date. The year-end date is set once you file your first corporate tax (T2) return. For sole proprietorships and partnerships, you must apply to the Canada Revenue Agency (CRA) for approval to change your fiscal year-end to something other than December 31st, by filling in Form T1139, Reconciliation of Business Income for Tax Purposes. There is no guarantee that the CRA will approve your request. Why might you choose a fiscal year that does not end on December 31st? Business is seasonal so choosing a fiscal year-end date to coincide with a slack time in the business gives management more time to work on business planning and budgeting and accountants and bookkeepers more time to reconcile accounts and prepare tax returns and financial reports. If the business is retail the level of inventory is typically at its lowest during slack periods, making counting easier. Seasonal businesses tend to increase hiring during busy seasons and reduce headcounts during the off-season. 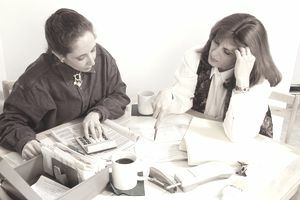 Having their fiscal year-end coincide with seasonal layoffs can be advantageous for bookkeeping purposes. Accounting firms are generally busiest in the period following the end of the calendar year, so choosing a different fiscal year end may allow the business to get a reduction in the cost of accounting services, as well as a faster turnaround. A business has been acquired by another business and the fiscal year-end needs to be changed to match that of the purchasing business. The business is closing part way through the current fiscal year so the year-end needs to be changed to the date when the business ceases operations. If you start a business that is a sole proprietorship, a partnership such as the one described above, or a corporation, you can choose to have a different fiscal year by filling out and filing Form T1139, Reconciliation of Business Income for Tax Purposes. Can I Change My Fiscal Year End? Except in special circumstances such as closing or relocating a business out of the country, you must apply to the CRA to change your fiscal year-end. The CRA policy is that changing the fiscal year will only be allowed for "Sound Business Reasons" - in other words, if the CRA deems that you are requesting a change to (for example) reduce your tax burden or strictly for personal convenience the request will be rejected. For information on how to apply to the CRA to change your fiscal year period see How Do I Change my Fiscal Year End? Choosing a different fiscal year end date should be considered carefully, however, because it will affect all your other reporting obligations. For instance, if your business is registered for the GST/HST, your GST/HST reporting periods, filing and remitting due dates will be affected. Also Known As Fiscal period. Examples: Verity chose to have a fiscal year end date of July 31st for her ski shop business so she could prepare her income taxes during her business's slow season.